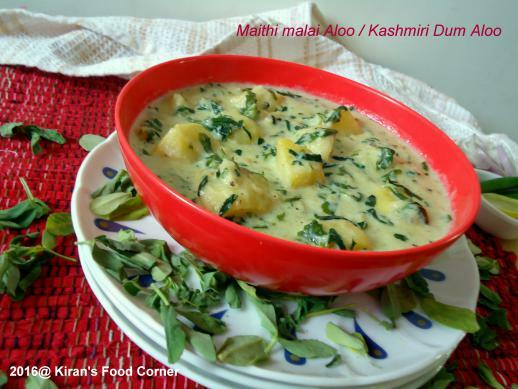 Kashmiri Dum aloo is one of my favorite gravy. Its easy to make and it gives you royal taste too. First time I had it at Ginger hotel and loved it,and tried at home but with little variation. Boil a glass of water and add chopped onion,boil it for a min drain then grind along with cashew,garlic and green chilly. Cut potato into desired shape. 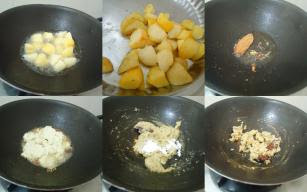 Heat oil and deep fry potato until its turn light brown. Drain and keep aside. 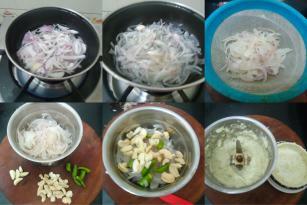 Heat 3-4 tbsp oil in same pan.Add bay leaf , cardamom,clove and paper then Add onion paste and saute until light brown. It will take 2-3 minutes on low flame. Add 1/2 tsp corn flour and saute for a minute. 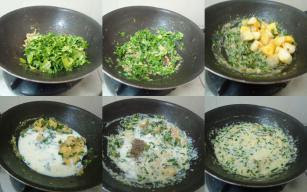 Add fenugreek leaves and cook for 2 min. then add potato and milk and cream cook on high flame add paper and mix well and turn off the flame. Serve hot with roti,naan but I enjoyed with Tandoori Roti. 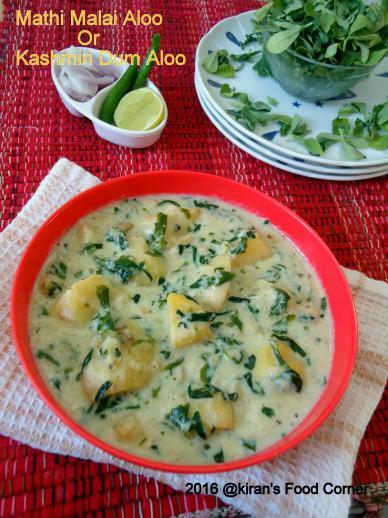 Do not cook for long time after adding cream because it curdles if cooked more. If gravy is too thick can add little hot water to get proper consistency. Can avoid maithi but it gives nice flavor and aroma. 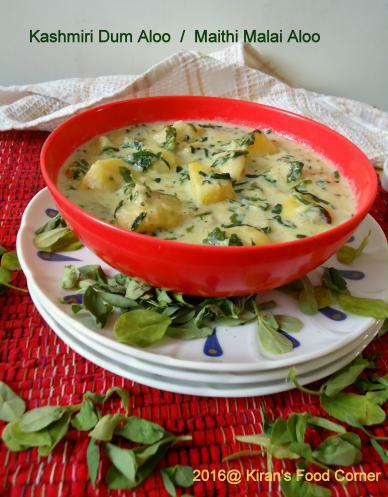 You Can use paneer instead of potato.